Spotify, the world’s most popular music streaming service, shares that starting today, Spotify Family Plan now provides families with up to six individual Spotify Premium accounts for only P194 per month! Already on Family Plan? Don’t worry! The Family plan still includes separate accounts, individual playlists, personal recommendations and offline listening per user now at a better price, which will be updated on the next payment date. This also enables the head of the family to add more members. The upgraded Spotify Family Plan offers the same world-class music experience as before, giving access to each family member to over 30 million songs for just one low price payable on a single bill. Premium for everyone. Everyone on the plan gets the full Spotify Premium experience. Listen offline to more than 30 million songs. Play any song, anytime, on any device. No restrictions. No ads. Better pricing. Music at your fingertips has never been cheaper for up to 6 people – all collected on a single bill. To learn more about this deal, visit Spotify.com/ph/family, or simply head over to your Account Page here to add additional family member. Spotify is an award-winning digital music service that gives you on-demand access to over 30 million tracks. Our dream is to make all the world’s music available instantly to everyone, wherever and whenever you want it. Spotify makes it easier than ever to discover, manage and share music with your friends, while making sure that artists get a fair deal. Spotify is now available in 58 markets globally with more than 75 million active users, and over 20 million paying subscribers. Since its launch in Sweden in 2008, Spotify has driven more than US$3bn to rights holders. Spotify is now the second biggest source of digital music revenue for labels in Europe, and the biggest and most successful music streaming service of its kind globally. Hello guys! 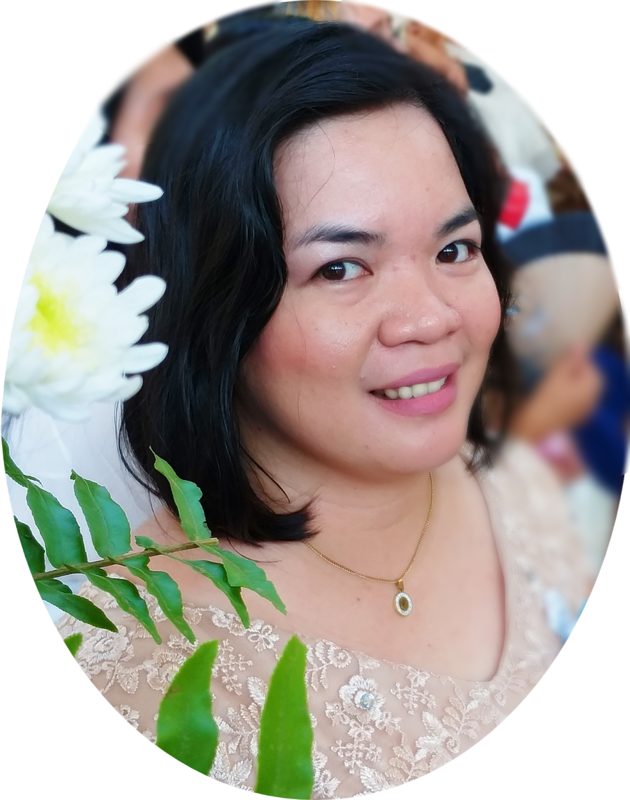 I have been missing in action for a week now because of some personal matters. Our family is going through tough times. My half brother had a very tragic accident. But he's lucky he survived that accident. Still, this caused us so much pain, fear and worries. I wish I can share everything but I can't. So please bear with me as I find the road to healing. 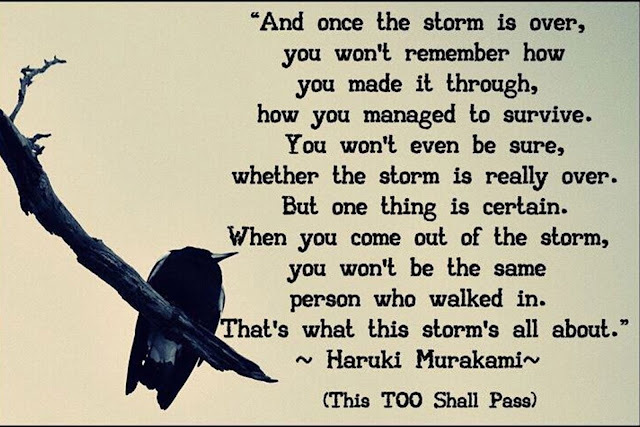 But I have strong faith and this too shall pass. Amen! Calling all fashionistas out there! 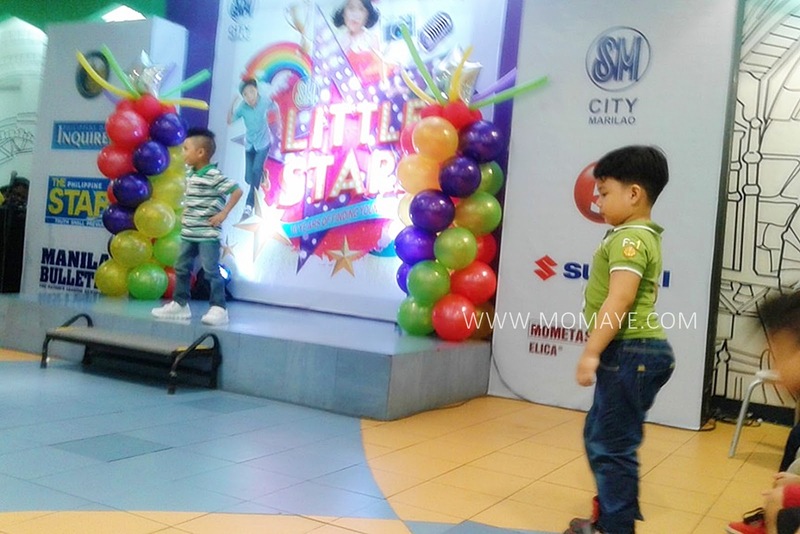 (Manila, Philippines) After the successful take off of the Style Up Summer Campaign of SM Makati, the SM Store is at it again – and now, extending it to a bigger crowd. Launching a nationwide online contest that challenges Filipinos, of all shapes and sizes, not only to make your OOTD game strong, but also to challenge you to free yourself from your fashion boundaries. The all-new character of The SM Store led to the birth of the Style Up campaign, following its bolder attitude that lets your curate your wardrobe according to your liking - a rather trendier, more straightforward, with a little bit of to a little too much of edginess. All contestants are challenged to be creatively playful, as they follow the three themes. Towards the end of the contest, four (4) winners will be chosen – and the one with the most clever and fashionable entry wins P30,000 worth of shopping budget. Learn more about how it’s done through our fashion-squad leaders Jess Connelly, Mark Mcmahon, and Kiana Valenciano, as they teach you how to pose, snap, and post for the #StyleUpMovement Instagram takeover challenge. Style Up highlights SM Makati as this summer’s most exciting fashion destination by bringing together the season’s hottest looks and the metro’s style influencers in one grand fashion presentation. The big idea is UP. And whether you’re updating your look, trying out a new trend, or taking that runway ready route, SM Makati will help you Style Up with its fun and fab selection of clothes, shoes, and accessories. It’s all about fashion’s transformative power to make you look good and feel great on the beach and beyond. 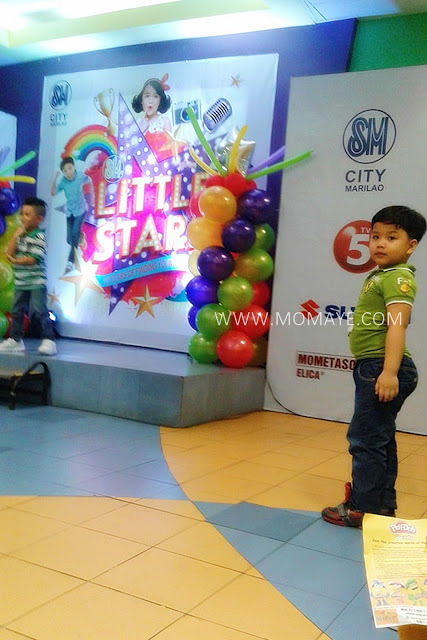 When we went to SM on my birthday, Matt saw the #‎SMLittleStars2016 poster. To our surprise he went to the registration table. Gusto daw nya mag-join so wala kami nagawa but to sign him up. Hehe. Since sya naman may gusto, we let him join. I told Daddy A, it's better that at his young age he'll be expose to contests like this. Just in case you missed reading. 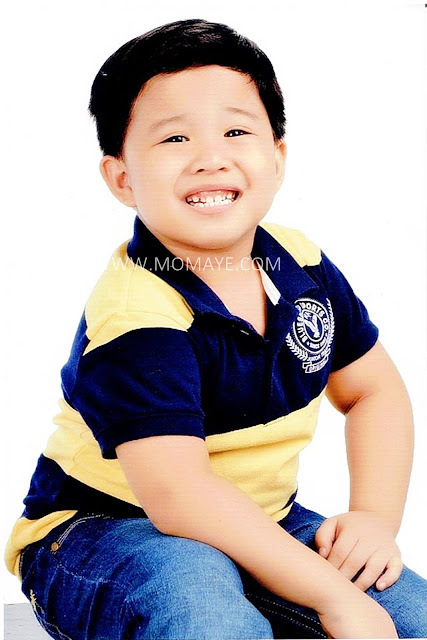 Matthew already represented his school in a singing contest when he was 4 and just last year, a spelling bee contest naman. By the way, here are his pictorial photos. Oh, I can't believe my little boy is baby no more. Just like what I have always say, we are here to support him. We want him to be more confident about his self. 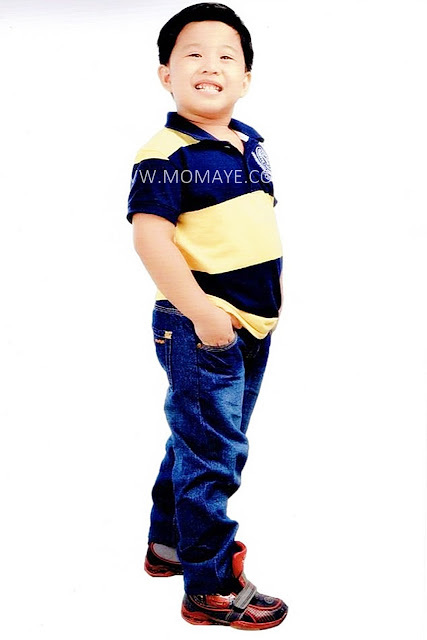 Yan ang wala sa akin when I was younger. I don't join extracurricular activities. More on aral ako. I was very very shy. I can't even sing ABC, hehe. Then I asked him what he will do, he will sing and dance daw. Sabi ko isa lang and we think of dancing na lang. Kaya lang I believe he is a better singer, hehe. So we practiced the song Wish I May two nights before the preliminary screening. Memorized nya naman yun song, problem lang since minus one yung timing. The preliminary screening day came. Look at how confident he was. 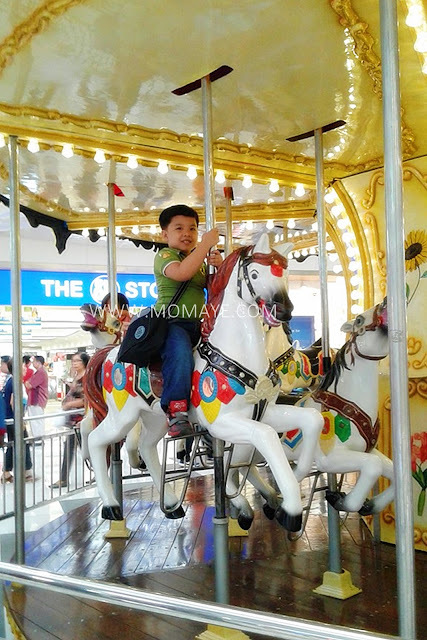 Before we went to the venue, Daddy paid our water bill first and our little boy requested to ride the carousel naman. At the venue, photoshoot naman. Fast forward, after waiting for 3 hours, it's his turn. He was so serious here. I don't know what he's thinking. Kinakabahan kaya? Haha! Finally, he went to stage. At first, hindi sya nakasabay. Ako din naman hindi ko masabayan, hehe. Parang bumilis yung music, I don't know. But I am glad nakabawi sa chorus. Here's that part. No matter what the result will be, we are proud of him. The fact that he can face and sing in front of so many people is already an achievement. Also, ang hirap pala mag-audition and magpa-screening ano? Ang tagal mag-antay. Sabi ko nga kay Daddy A, hindi ko keri mag-antay ng ganito katagal. Mukhang last na ito. Hehe. But I must commend all the very supportive parents. We'll do anything for our children. right? And no matter what happen, we are their no. 1 fan forever! Hello everyone! How's your weekend? Mine was tiring. 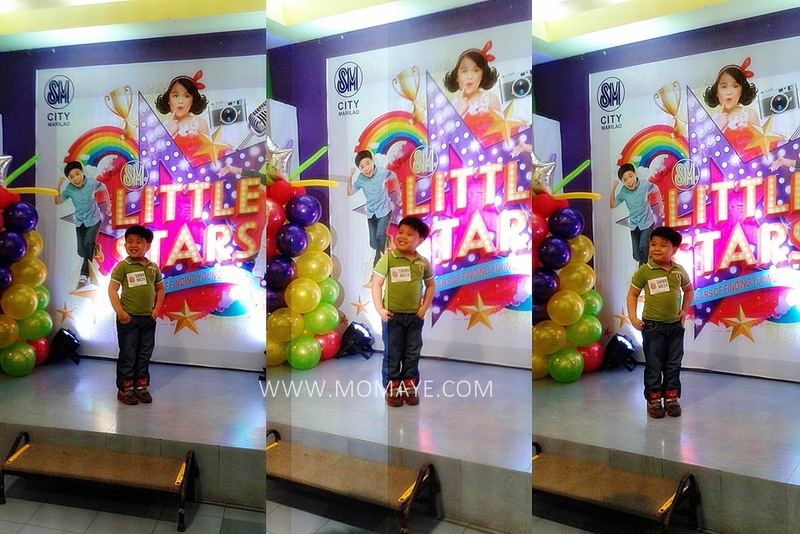 My son just had his preliminary screening for SM Little Stars. Well, that's another story that I'll share with you soon. 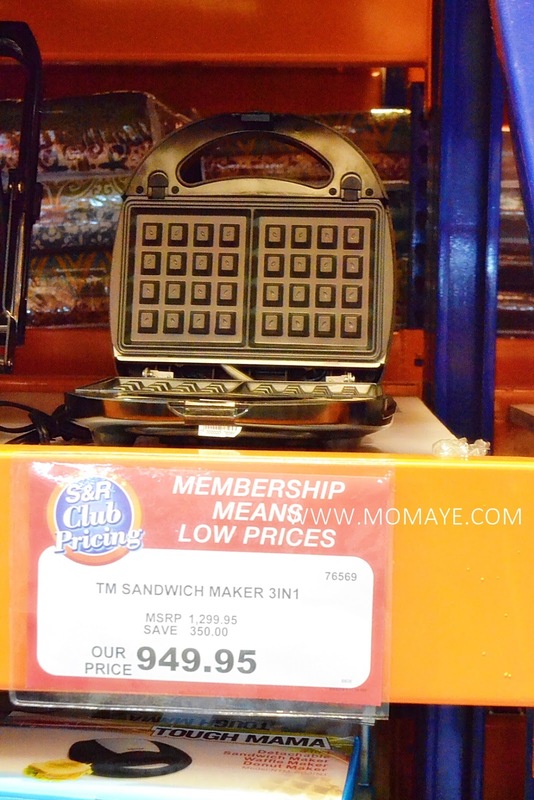 For now, let me share another wonderful experience at S&R Membership. Oh yes, I #LoveSnR. Well they aside from the great products #OnlyatSnR, they have a wide, free parking pa. Isn't that great? Anyways, last Sunday Mother's Day. Just in case you still don't have a gift for your mom or wife, check out these late Mother's Day gift at S&R Membership. 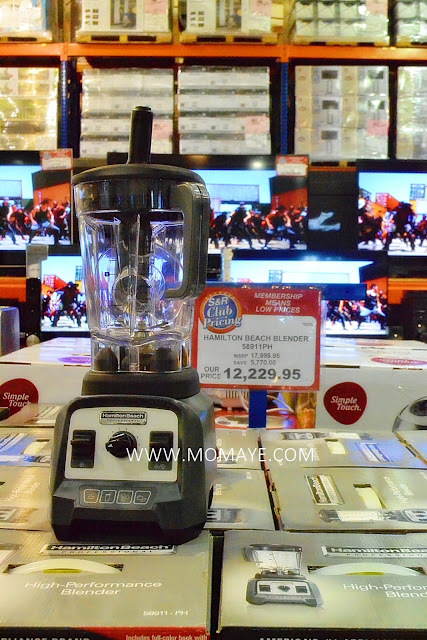 Moms like me would love to receiver kitchen appliances. And there are reliance kitchen appliances at S&R. 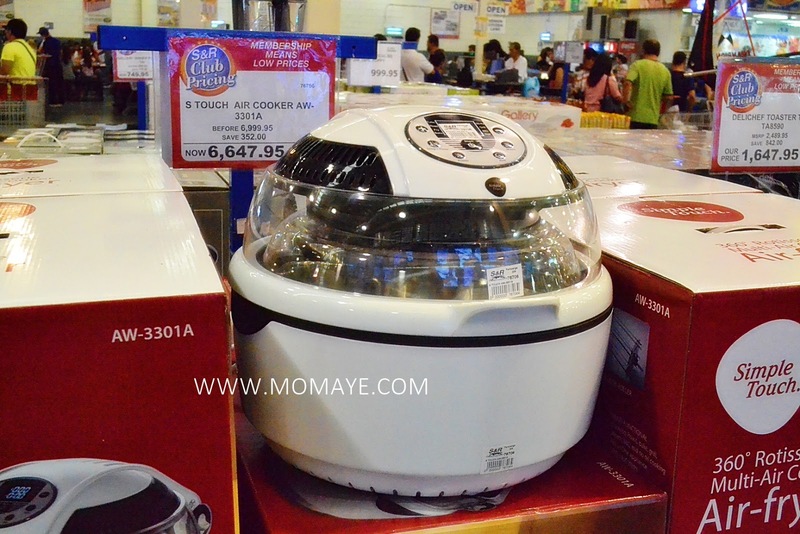 Look at this Simple Touch Air Cooker now at Php 6,647.95. 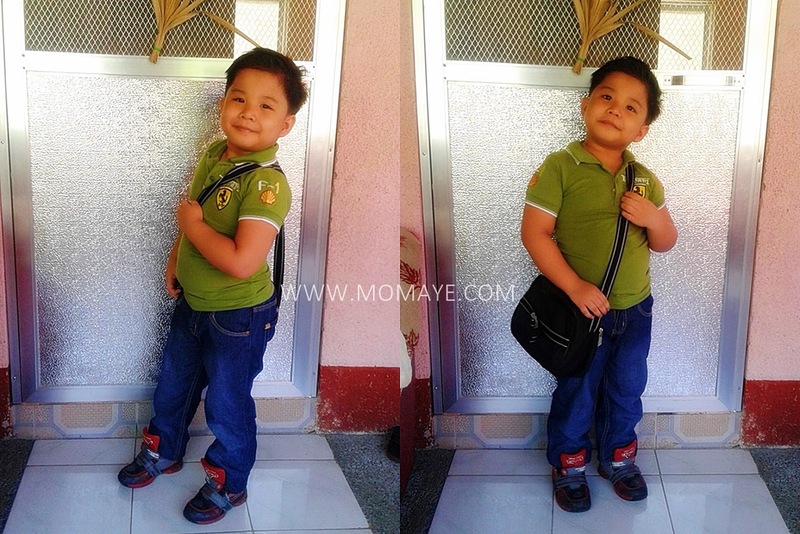 Last year ko pa ito type na type bilhin e. Hmmm, Daddy so nice oh! Naku heto pa, last year ko pa ako dito naglalaway, hehe. This Hamilton Beach Blender is on sale at Php 12,229.95 from Php 17,999.95 original price. 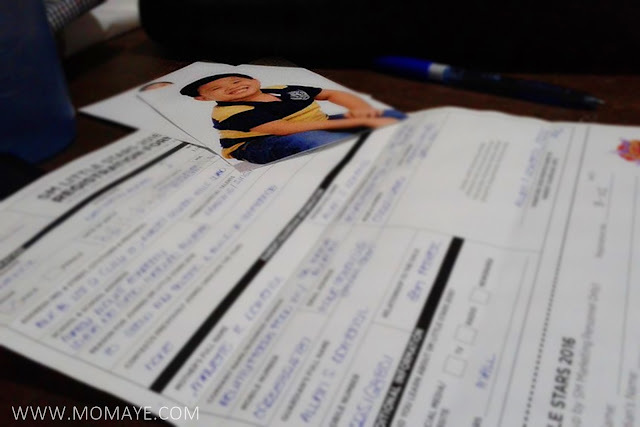 Save Php 5,770.00! 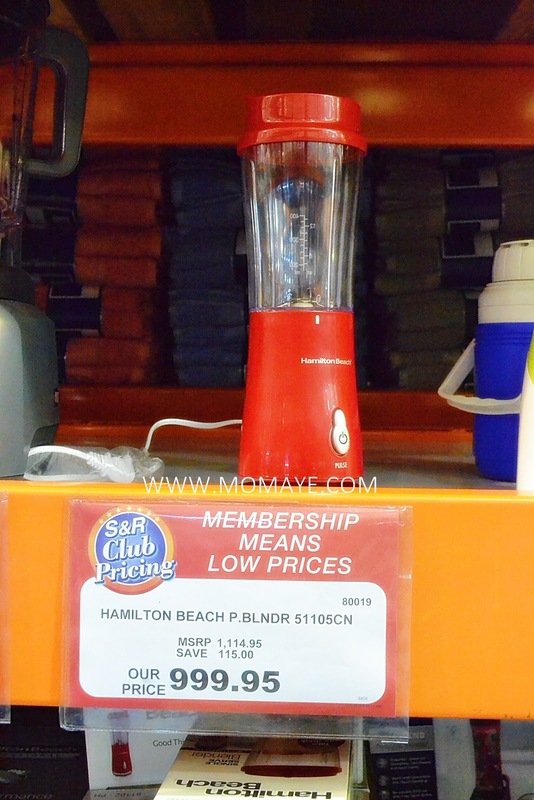 If you are looking for a more affordable blender, here's Hamilton Beach Personal Blender sale at Php 999.95. 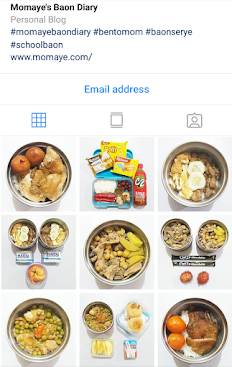 Moms love to cook so sure ako matutuwa ng sobra si mommy, nanay, mama, inang kapag heto ang niregaloy mo sa kanya. 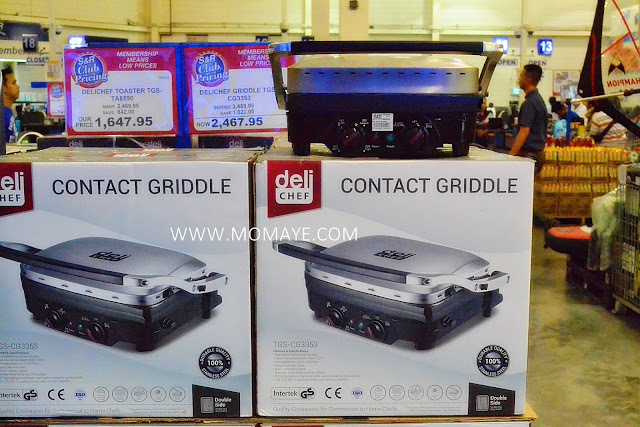 It's my first time to see this Deli Chef Griddle sale at Php 2,467.95 from Php 3,489.95 original price. My free Electric Grinder pa. I must say, I feel in love with it! Since malapit na school opening, one almost 1 month na lang. Mommies would love to receive kitchen appliances that will help her prepare meals like breakfast and school baon as well. 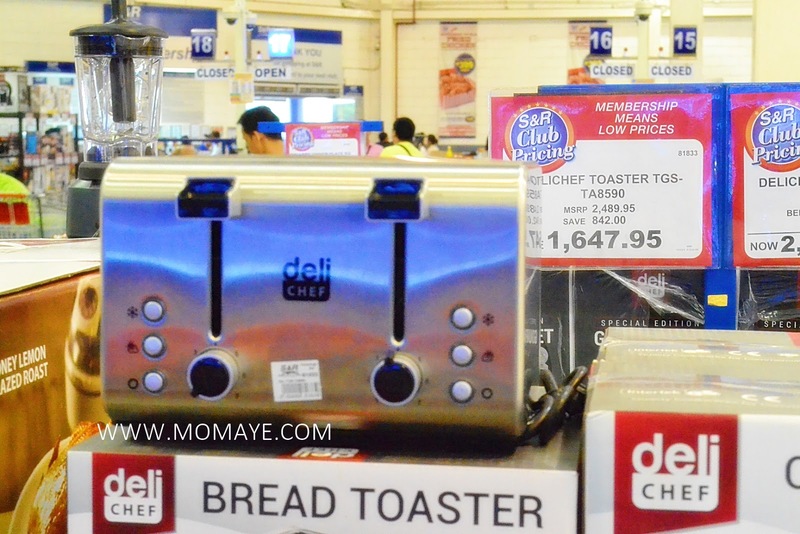 My son loves bread so I like this Deli Chef Bread Toaster with Free Electric Grinder also on sale at Php 1,647.95 from Php 2,489.95 original price. Save Php 842.00! 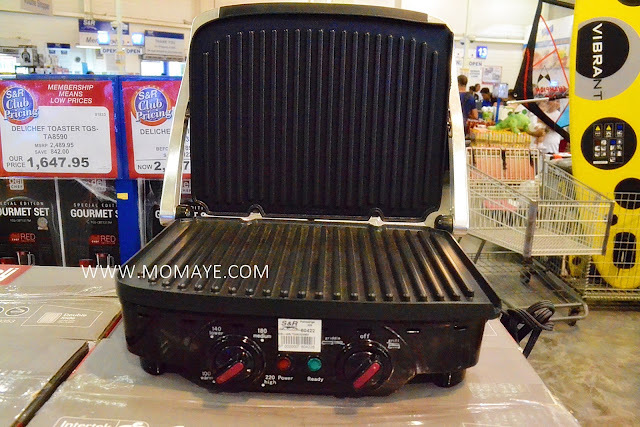 And here's one my wishlists, Tough Mama 3-in-1 Sandwich Maker sale at Php 949.95. It's original price is Php 1,299.95, so you can save Php 350.00. Let's move to the vanity basics. Of course, mothers are beauty conscious too. 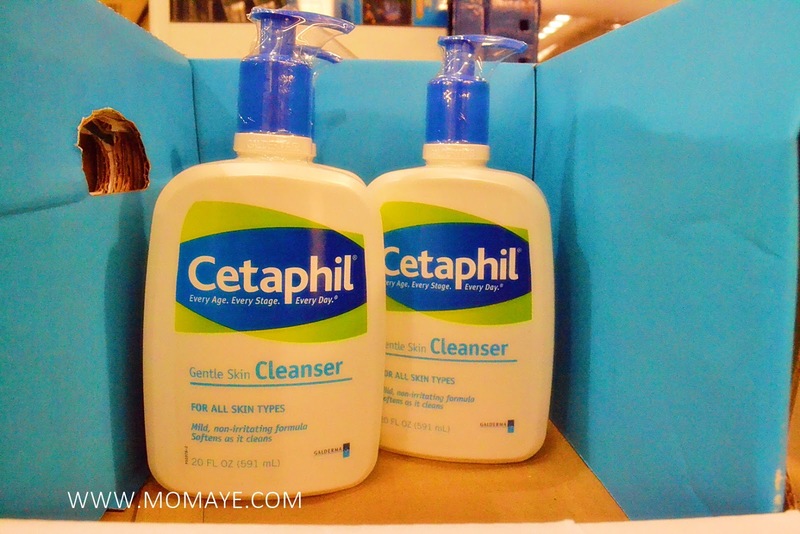 Cetaphil Cleanser is sale at Php 479.95 from Php 579.95 original price. 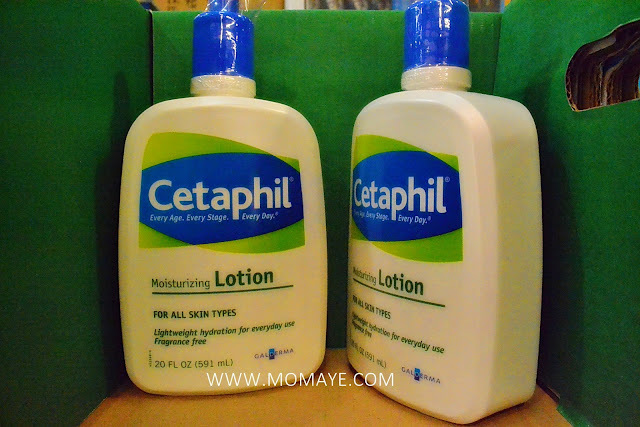 While Cetaphil Lotion is sale at Php 449.95 from Php 549.95 original price. You can save Php 100.00 per 591-ml bottle! Also, Marc Anthony Oil of Moracco Club Pack is sale at 899.95. It's original price is Php 999.95, save Php 100.00 too! 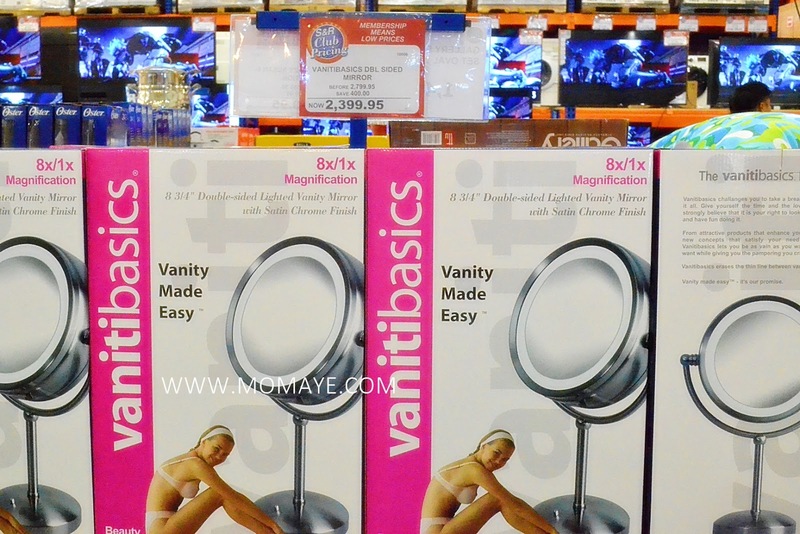 Moms needs this Vanity Basics Double-Sided Mirror sale at Php 2,399.95. 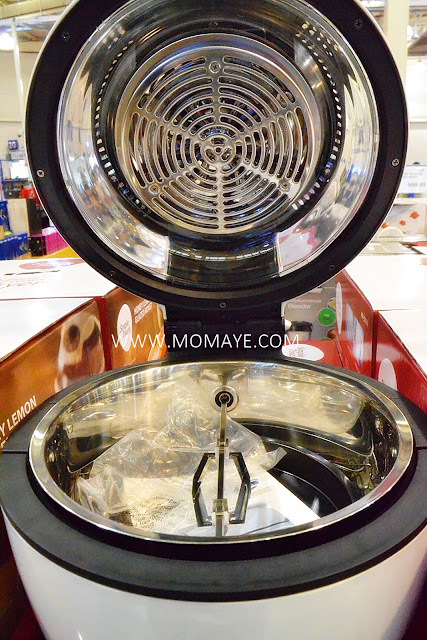 And this another mom's bestfriend, hair dryer/blower. 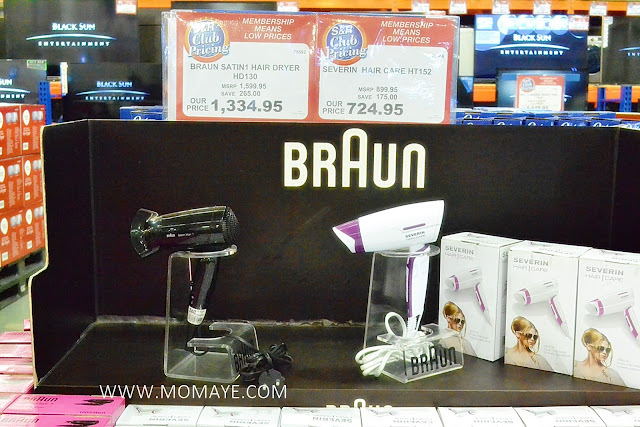 Braun Satin 1 Hair Dryer sale at Php 1,334.95 and Severin Hair Care sale at Php 724.95. Oh hindi ba, never too late to buy a gift for your mom or wife. I am sure alis ang tampo nila, hehe. 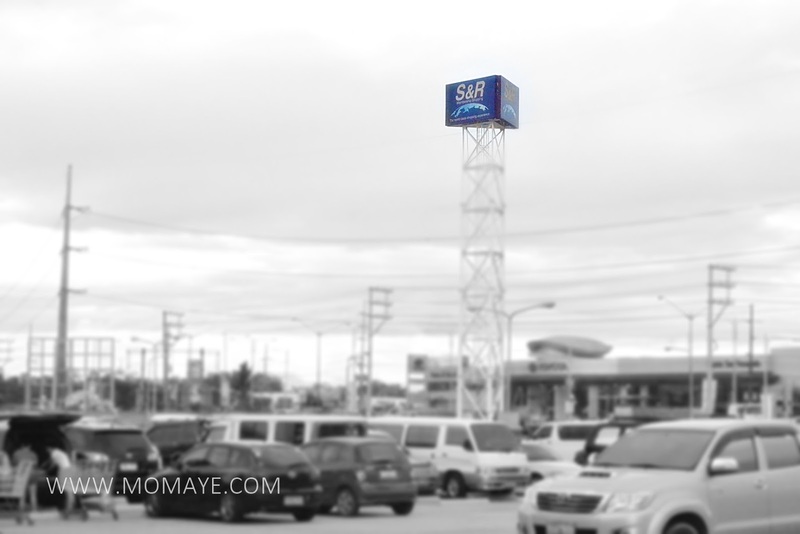 Go to the nearest S&R Membership and have your wonderful experience. Who loves cosmetics and beauty products? Raise your hands! I will raise my two feet too, haha. Just kidding. I love to buy beauty products but I am still new to it and only few like moisturizers and BB creams that I am familiar with. Cosmetics and beauty products are women's best friend. We women are very conscious on our looks especially our face. Most especially now that Korean cosmetics is so popular in Asia. The brand like Innisfree already opened 15 outlets in Singapore. Many people asked about the ranking of Korean cosmetics. The Google brand searches will be used for the ranking matrix. High searches volumes in Google means brand awareness and popularity is high. The quality of the products cannot be compared because most of brands are have similar ingredients. Some brands with same search volumes in Google will be ranked by their products popularity. Innisfree is the first all-natural brand in South Korea. The brand comes from Yeat’s poem, The Lake Isle of Innisfree, which is express the brand core concept clearly, shares benefits of natural and been eco-friendly. 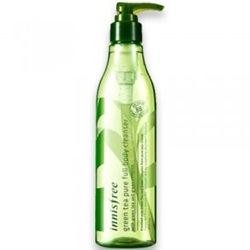 Innisfree provides skincare and makeup products, both are made from natural materials. Such as one of the most popular series, Jeju Volcanic Pore Control, the main ingredients of products are all from Jeju Island. 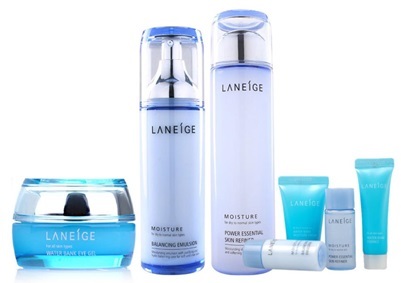 Laneige is the other brand owned by Amore Pacific, its brand name comes from La Neige which means Snow in French. So it is not so difficult to imagine that this brand is more concentrated on hydration. So many girls with dry skin are crazy fans of Laneige. They love all the Water Bank and Moisture products that provided them moisturizing skin and last for long time. Etude House launched in 2005 in Seoul with a very cute and pink image. It has been developing fast home and abroad. By now it has over 200 shops in Korea and over 100 shops overseas. 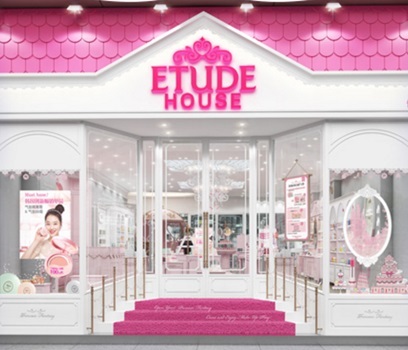 Etude House’s claims that all the girls are born as a princess, so that its products always comes with cute design and pink in color, and its shops look like a castle of princess anywhere. 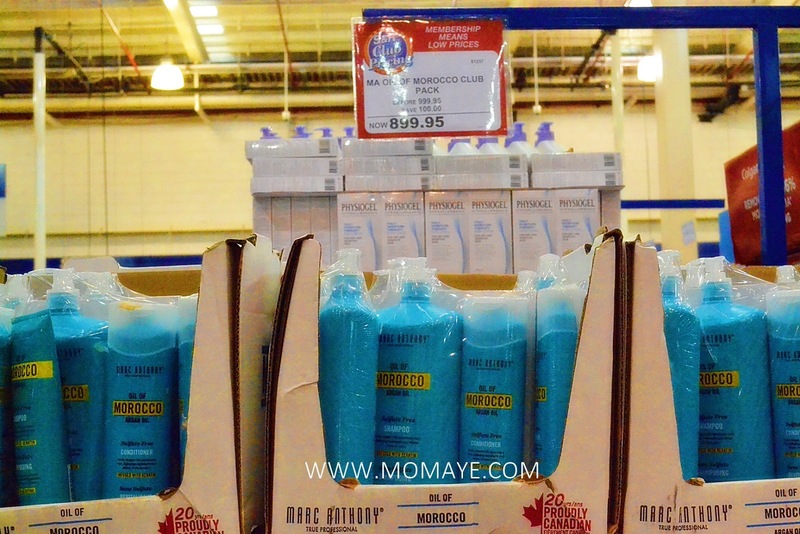 Sulwhasoo is a premium brand from Amore Pacific with long brand history. 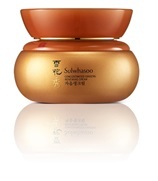 It even can be recalled to 1966, ABC Ginseng Cream came out as the beginning of Sulwhasoo. Until today, ginseng still as the core ingredient of its star product, Concentrated Ginseng Renewing Cream, which penetrated the deepest layers of the skin to revive damaged and provided a youthful looking. Natural Republic has created in 2009, with the brand philosophy “A Sense of the Beginning”. It is not so popular internationally but famous in Southeast Asia like Singapore, Malaysia and Philippines. 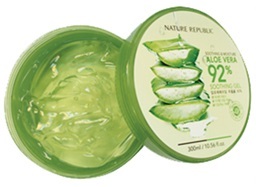 One of the best selling item of Natural Republic is Aloe Vera Soothing Gel. I guess you must see it before in beauty and health stores. It comes with rich fresh aloe and mineral oil, which mild for any skin types. Skinfood provides skincare and cosmetics with nutritional values of food. 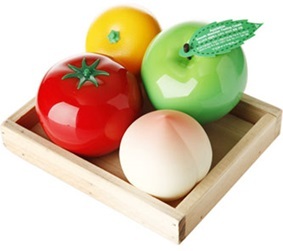 The main materials of its products are natural food including fruits, vegetables and other food ingredients. The brand concept is popular among foreign visitors and many people would go to the shops during traveling, so that the number of Skinfood shops outside South Korea has been increase shapely recent years. The Face Shop is a part of LG Household & Health Care of LG Corporation. It targeted customers at both women and men with pretty kinds of product, which from body and hair to skincare and makeup. 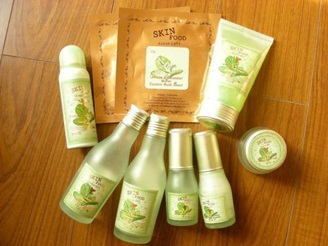 With affordable price and high quality, The Face Shop expanded its overseas market from 2006 and in April 2012, it has 930 stores in 22 countries. Tony Moly is now popular among young girls in Singapore because it’s unique look. As its brand name referred, “putting style into packaging”, Tony Moly always present trendy urban style as it promised. If you are looking for something lovely in package, Tony Moly should be your choice and it would never let you down with the excellent effects of products. 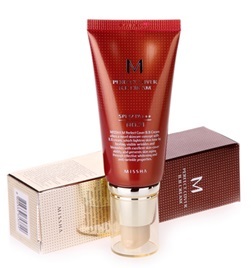 Missha was created in 2000 and owned by Able C&C Co Ltd. 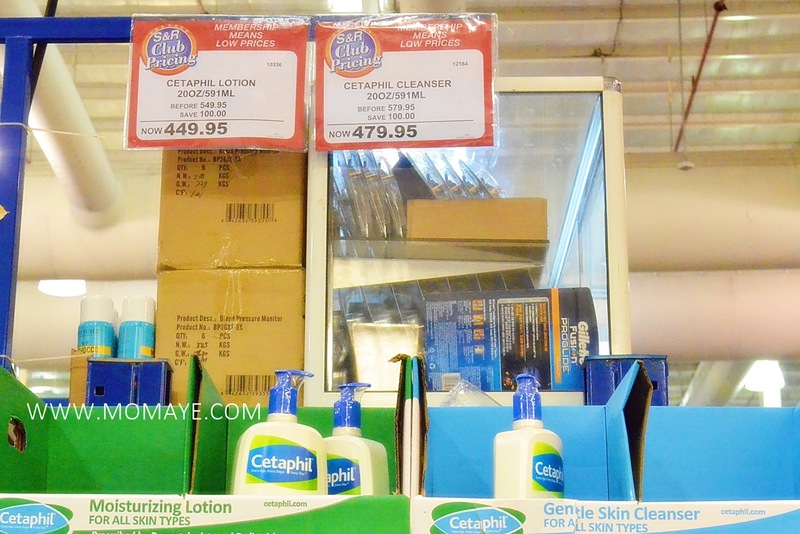 This brand declared that cosmetics should not be expensive item so that it provided products with affordable price in the market. This strategy caught young girl’s hearts and they are willing to try Missha. And Missha also working on providing them beauty and health. The name HERA is from the Greece goddess. 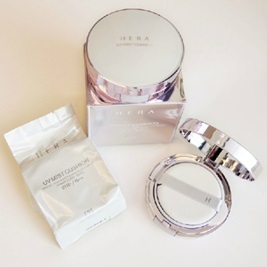 HERA is a luxury brand with its unique makeup formulas and innovative skincare products. And it aimed the customers who with higher income. Products of HERA all with high quality and effective functions. Different from other brand in Korea, HERA has pretty products for men such as cleansing foam and CC cream. So there you go the top 10 Korean Cosmetics Brand in Singapore. Is your favorite brand included? 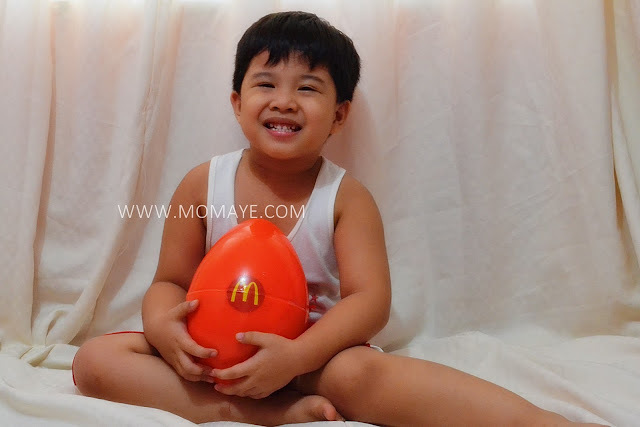 Last weekend, we received this big egg (as Matthew called it) from McDonald's. Matthew was, of course, the most delighted. 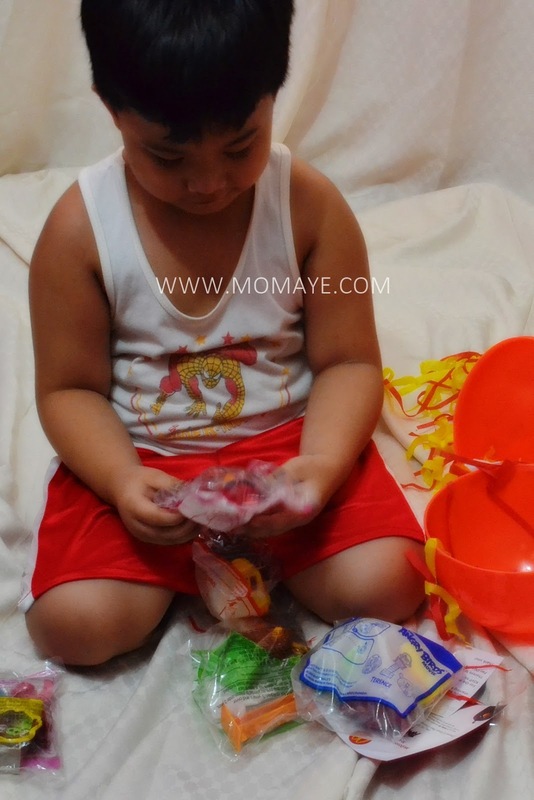 He can't wait to open the big egg. McDonald's send us an invite to a special 'sneak beak' of The Angry Birds Movie on May 14. 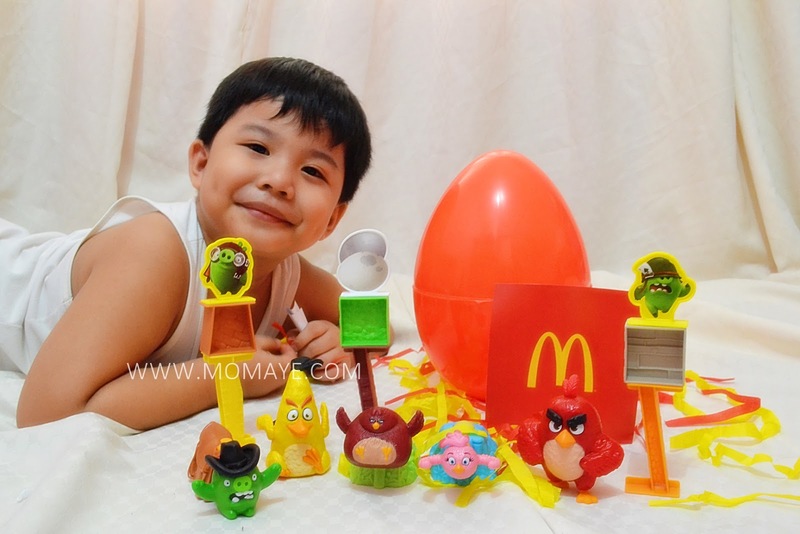 Along with the invite inside the egg are the 5 of the 10 #McDoHappyMeal Angry Birds toy collectibles. Look at that smile on our little boy's face. Let's take a closer look at each toy. 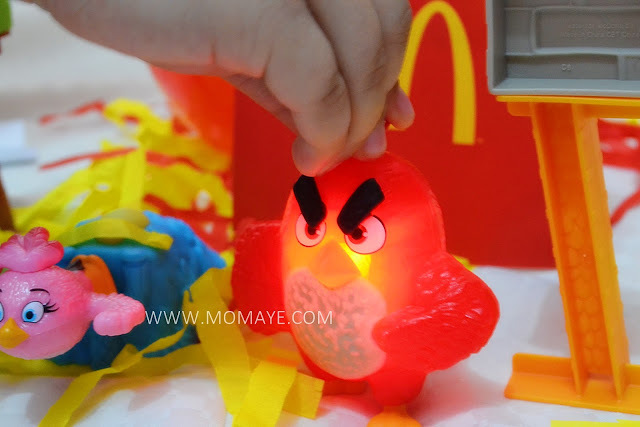 As his name implies, it lights up when you push the two red feather on top of his head. 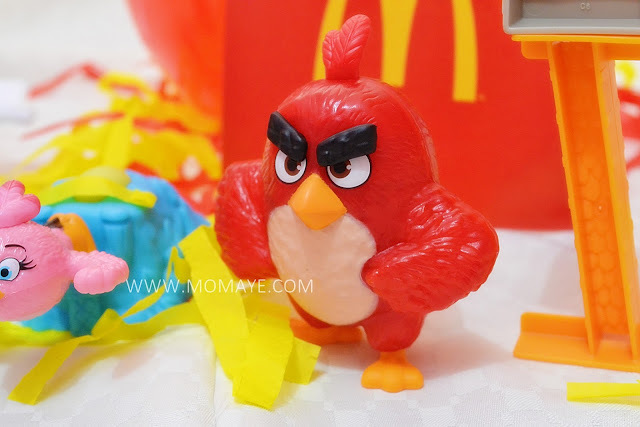 Red Bird is the main protagonist in The Angry Bird Movie. This yellow bird has the ability to speed up when you glide it backward. 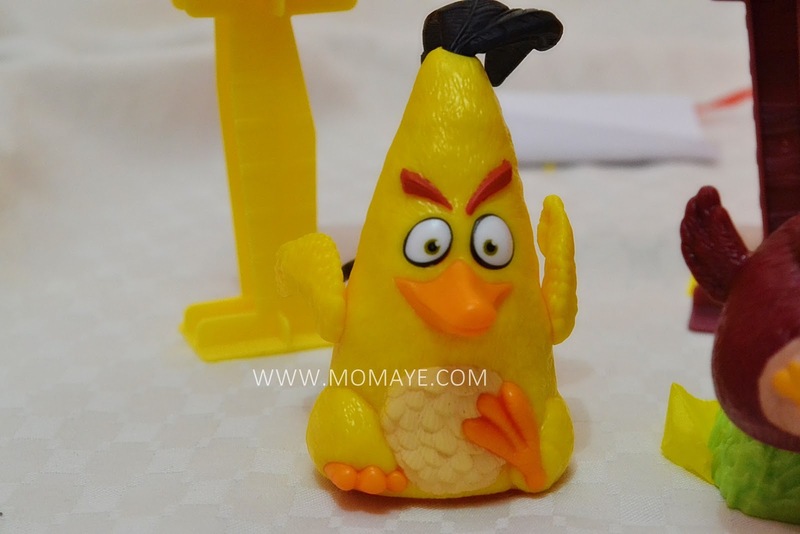 Chuck, the yellow bird, is Red Bird's bestfriend. 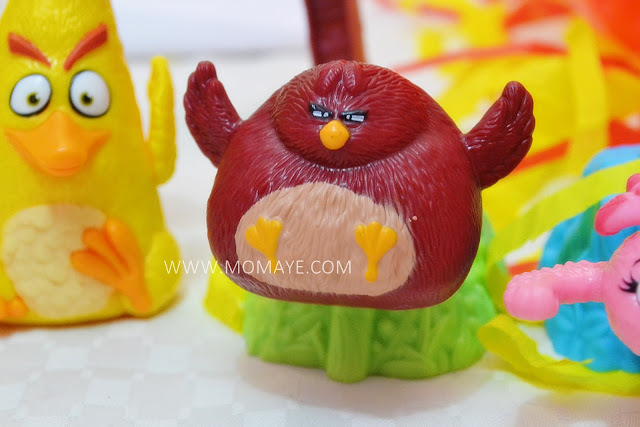 This is cute pink bird is Stella. 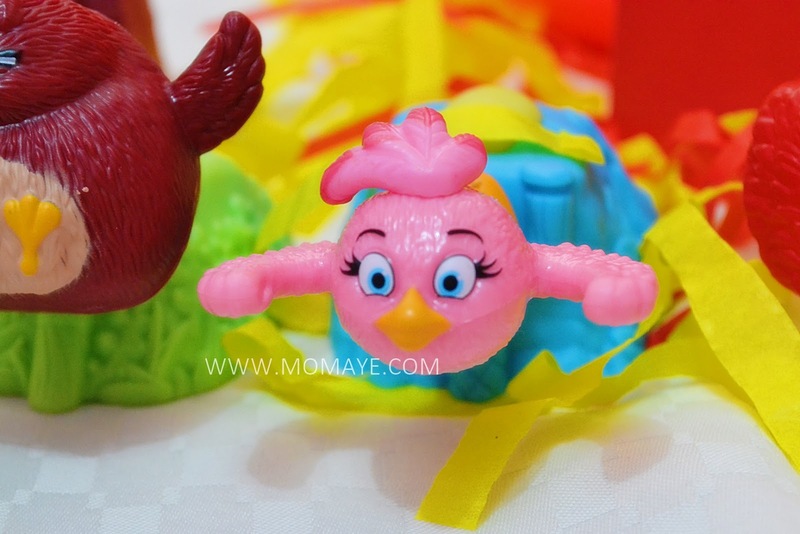 Stella is the cute and bubbly, pink round bird. Terence is the big brother bird. 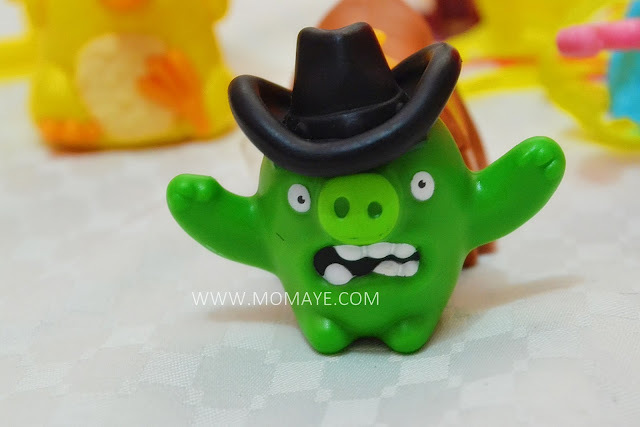 And this is Cowboy Pig. 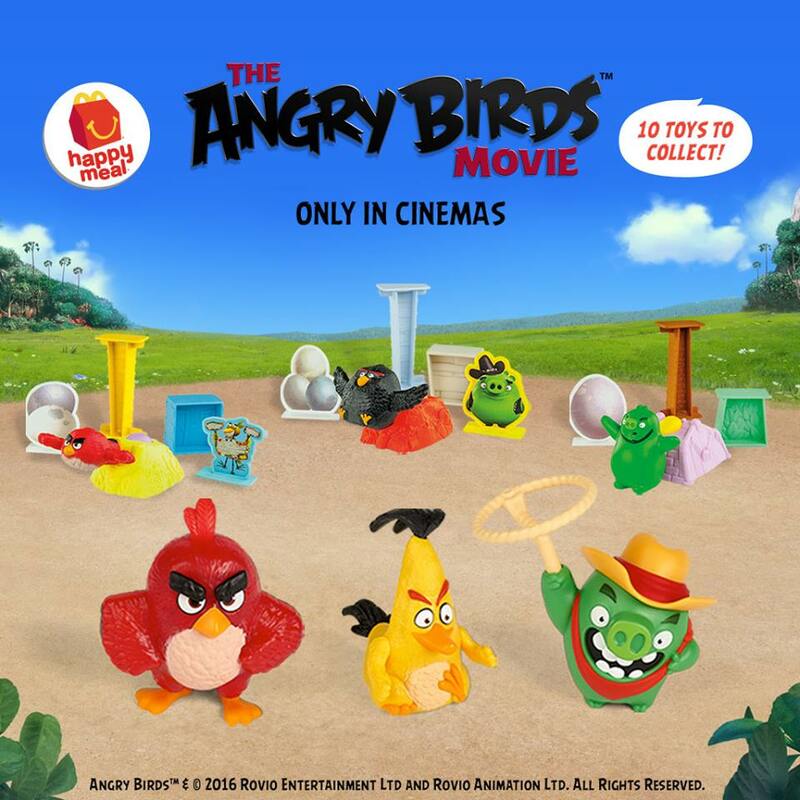 As you all know, the Green Pigs are the main antagonists in the Angry Birds Movie. 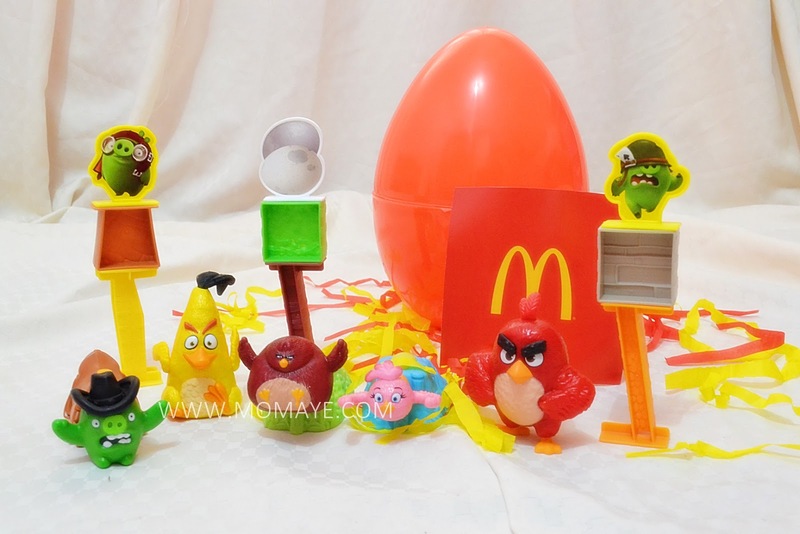 There you go the latest McDonald's Happy Meal toy collectibles. 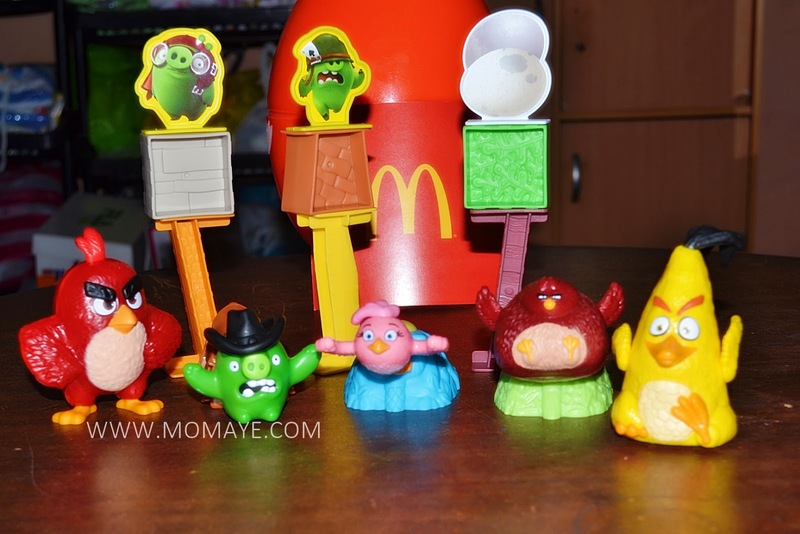 Collect all 10 Angry Bird toys available on all McDonald's store starting May 11. Also, grab the Red's Cotton Candy Mini McFlurry and Piggies' Oreo Matcha Mini McFlurry only at McDonald's Dessert Centers. Of course my son already tried the Red's Cotton Candy Flurry and he likes it so much. Will try the other one next time. In fairness, we don't force him to do that. He likes watching YouTube toy reviews kasi. More practice pa especially his grammar. That's it!